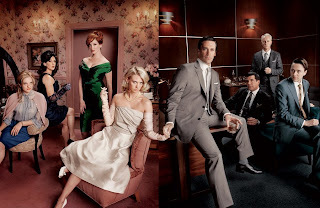 I am so stoked for the return of 'Mad Men' with season three stepping out this coming Sunday (August 16) on AMC. If you are behind the times and want to get in on the best TV show on television (no offense, my beloved 'Gossip Girl'), then check out what the smarty pants over at NY Mag have come up with... a grossly (their words) abbreviated version of the first two seasons. Sure, it's a bit of a cheat, but you can always curl up with the DVDs later on and marvel at John Hamm and the other comely cast members in real time.